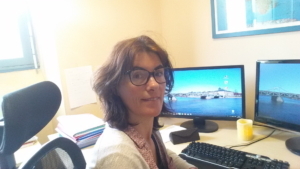 Etude de la connectivité cérébrale associée à la désorganisation du tissu cérébral face à la pathologie et à sa réorganisation après thérapie cognitive. Omics analysis of mouse brain models of humans diseases. Paban V, Loriod B, Villard C, Buee L, Blum D, Pietropaolo S, Cho YH, Gory-Faure S, Mansour E, Gharbi A, Alescio-Lautier B. Gene. 2017 Feb 5;600:90-100. doi: 10.1016/j.gene.2016.11.022. Subjective cognitive impairment and Alzheimer’s disease: a two year follow up of 51 subjects during two years. Sambuchi N, Muraccioli I, Alescio-Lautier B, Paban V, Sambuc R, Jouve É, Geda YE, Petersen RK, Michel BF. Geriatr Psychol Neuropsychiatr Vieil. 2015 Dec;13(4):462-71. Benefits of computer-based memory and attention training in healthy older adults. Chambon C, Herrera C, Romaiguere P, Paban V, Alescio-Lautier B. Psychol Aging. 2014 Sep; 29(3):731-43. Therapeutic and preventive effects of methylene blue on Alzheimer’s disease pathology in a transgenic mouse model. Paban V, Manrique C, Filali M, Maunoir-Regimbal S, Fauvelle F, Alescio-Lautier B. Neuropharmacology. 2014 Jan;76 Pt A:68-79. Genomic transcriptional profiling in LOU/C/Jall rats identifies genes for successful aging. Paban V, Billard JM, Bouet V, Freret T, Boulouard M, Chambon C, Loriod B, Alescio-Lautier B. Brain Struct Funct. 2013 Nov;218(6):1501-12. Positive effects of computer-based cognitive training in adults with mild cognitive impairment. Herrera C, Chambon C, Michel BF, Paban V, Alescio-Lautier B. Neuropsychologia. 2012 Jul;50(8):1871-81. Impact of prenatal ischemia on behavior, cognitive abilities and neuroanatomy in adult rats with white matter damage. Delcour M, Russier M, Amin M, Baud O, Paban V, Barbe MF, Coq JO. Behav Brain Res. 2012 Jun 15;232(1):233-44. Neurotrophic signaling molecules associated with cholinergic damage in young and aged rats: environmental enrichment as potential therapeutic agent. Paban V, Chambon C, Manrique C, Touzet C, Alescio-Lautier B. Neurobiol Aging. 2011 Mar;32(3):470-85. Gene regulation in the rat prefrontal cortex after learning with or without cholinergic insult. Paban V, Chambon C, Farioli F, Alescio-Lautier B. Neurobiol Learn Mem. 2011 May;95(4):441-52. In Alzheimer’s disease, the clinical expression of behavioral and psychological signs and symptoms is early and specific of neuropathological stages]. Michel BF, Luciani V, Geda YE, Sambuchi N, Paban V, Azorin JM. Encephale. 2010 Sep;36(4):314-25. Age-related changes in metabolic profiles of rat hippocampus and cortices. Paban V, Fauvelle F, Alescio-Lautier B. Eur J Neurosci. 2010 Mar;31(6):1063-73. Gene expression profile in rat hippocampus with and without memory deficit. Paban V, Farioli F, Romier B, Chambon C, Alescio-Lautier B. Neurobiol Learn Mem. 2010 Jul;94(1):42-56.